We went back to Adelaide for three weeks. My boys and I had three weeks anyway, the mister, because of reasons, could manage only one. I had to go and finish clearing out my Dad’s shed and we had to spend a few days finishing off our place before the removalists came in and there was lots of running around and changing addresses and so on. But that was secondary really, because there was all manner of awesomeness. I performed in Titters! ; I sat outside night after night with friends drinking excellent wine and saying, Tomorrow I’m definitely not going to drink; I had a wonderful family BBQ in my backyard to celebrate the combination of my birthday and book where the mister made a lovely speech and I managed to say nothing more than a choked up thank you; I had a surprise party arranged by friends and sat in the glory of an Adelaide autumn surrounded by the best assortment of friends a person could ask for and where my oldest frined made a lovely speech and I managed to say nothing more than a choked up thank you; and then I had a book launch (described most beautifully over here by Pavlov’s Cat) where, even though I had carefully written everything down because there are certain times when you need to get it right, still I got choked up and left out half of what I had written down. All in all, it was up there with the most excellent three weeks of my life I reckon. Rarely have I felt so loved and cared for. And by that I don’t mean that friends and family don’t usually love and care for me, and never more so than over the last few years. But my goodness me they made a rather marvellous job of it this March. Of course, across everything was Dad’s absence. And Mum’s. And I missed them. I felt sad and alone and remembered all over again how it is to be in the world without a mum or a dad. But somehow I felt that this is what my Mum and Dad had left me with. More than anything else they’d given me, this was the most impportant thing. A rock solid base of friends and family that gathers round just when you need them most. What more could you ask your parents to leave you with? 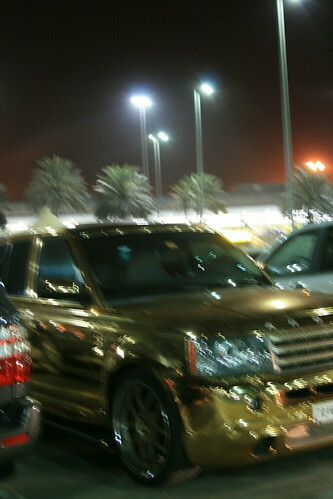 PS I will let you guess whether we saw this at the Adelaide airport as we left or the Abu Dhabi airport as we arrived. It all sounds fabulous — glad you had such a wonderful whirlwind trip! I’m tempted to say Adelaide just because the palm trees suggest Abu Dhabi. I saw you in Titters! I loved your routine – very dry, and word-play oriented, and droll, and funny. As for the friends gathered around, and the awesomeness of them, yes, they are awesome. But Tracy, that’s because you are full of awesomeness. Not just the great stand-up comedy, and the astounding, wonderful book, and your wonderful way with words, so that you are GOOD COMPANY, but the way you reach out, and care for people. Obviously in your Amnesty work, but I could see it too in the community gathered around to celebrate with you at your book launch. And I especially remember the time you found to meet me last year, and talk about living in Adelaide, when I was new migrant here, and still flailing about. In the middle of what was a very difficult year for you, you found time for a stranger in need. Your generous and kind and loving heart is what creates all that awesomeness. Good family is just like that, I think. We faff around and forget to call, or avoid each other – but when the chips are down or you need a place to run to, they are there. And they make a rousing big fuss of your wins. Sounds like you had a lovely visit. Weather has been pretty nice the last few weeks so it was a good time to come. I WISH we had cars like that in Adelaide!! That IS special. Lovely post TC, I’m glad it was a good visit. Now to find book. This post made me heave and sigh – and smile. Onya, Tracey. Will have to make it to the Adelaide Fringe next year! It’s not even 7am and you’ve made me cry TC. The photo was taken in Dubai – the palm trees are a dead give away. ps. Remember that your parents can leave you with all the best friends and family in the world, but it takes a certain kind of individual to keep them all close by. I keep coming to say a quick congratulations on the publication, but then I get sucked in to reading whole posts, and then I can’t type quick “congrats!” type messages. But this time I remembered to come back: Congrats!